Find work you love, when you need it. Sessions helps tertiary educators find opportunities at leading higher education colleges and universities. Register with Sessions and create a profile with your qualifications and experiences. We then help great education institutions find you. Simple and easy. Whether you’re looking for teaching experience while you study, or continue doing what you love after retirement, Sessions has roles to suit all your needs. "I have been teaching for the last nine years but the exposure I received while working with Sessions is amazing." 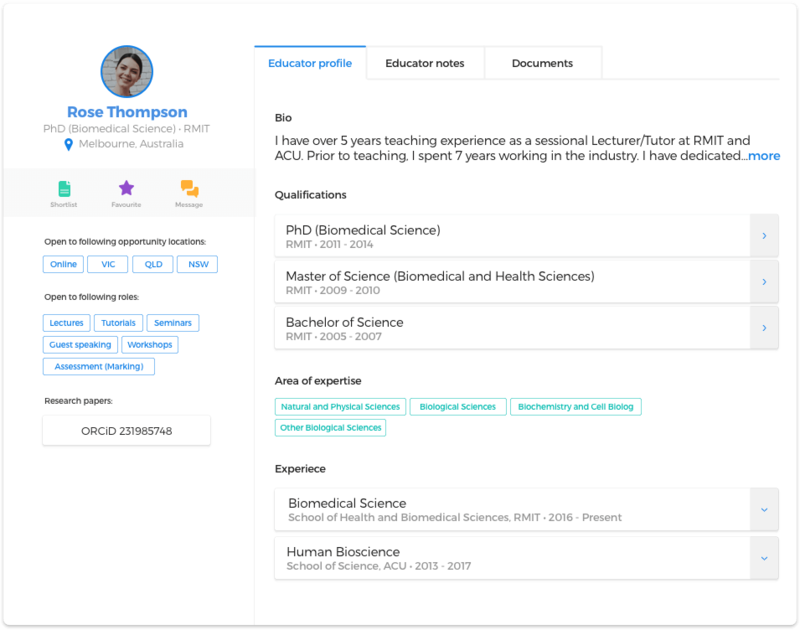 Sessions takes the pain away from the job hunt with access to a range of higher education teaching positions at your finger tips and direct communication with hirers. Log in, browse job opportunites and express your interest in roles that appeal to you. Keep your profile updated to receive personal invites to academic jobs that match your experience. 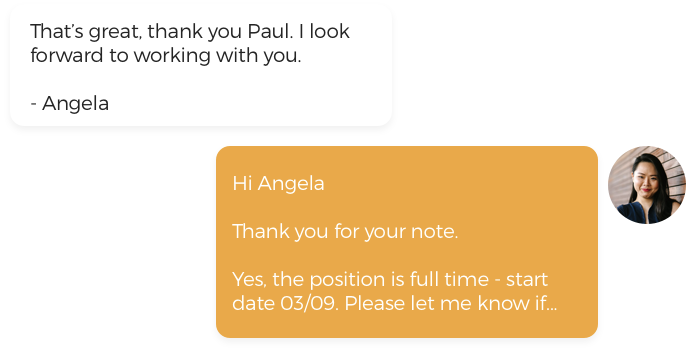 Maintain direct contact with coordinators and recruiters throughout the hiring process. Display your qualifications and experience to recruiters and save time completing job applications. All tertiary education jobs in one place. Gain exposure to leading higher education providers. To view the full profile and begin hiring, sign up to Sessions now for free!